Pittsburgh Penguins general manager Jim Rutherford praised the play of trade deadline acquisition Erik Gudbranson on Wednesday. Averaging close to two minutes more of ice time with his new team, Gudbranson, acquired from the Vancouver Canucks for forward Tanner Pearson on Feb. 25, has one assist in 11 games since joining Pittsburgh and is plus-5 with the Penguins after being minus-27 in 57 games with the Canucks. 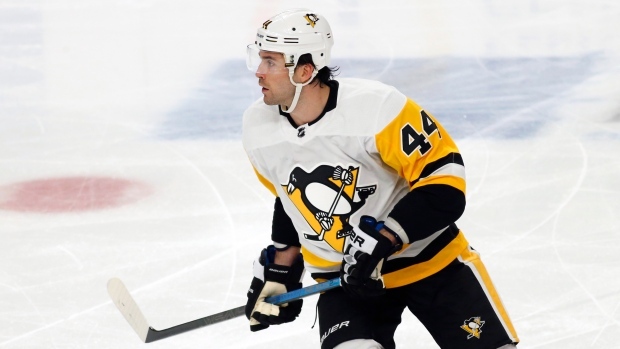 Rutherford added that the addition of Gudbranson has evened out the team's blueline with right and left-handed shots, which was a problem earlier in the year when Justin Schultz fractured his ankle. The Penguins, who are winless in their past three games, are 7-2-3 since acquiring Gudbranson. Pittsburgh sits third in the Metropolitan Division and will continue their push for the playoffs on Thursday against the Nashville Predators.